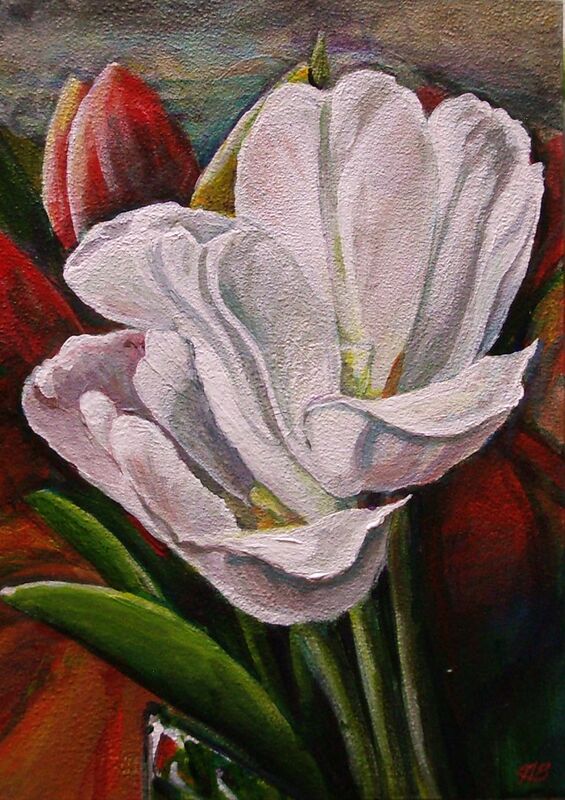 Google Images presents to us the biggest bouquet of white tulips you'll ever receive. . .
. . .and everything you ever wanted to know about tulips, from Wikipedia. Another of my 5" x 7" acrylic paintings on mat board, available for sale through Etsy and EBay. Lovingly created, painted on a carefully prepared and textured surface, sealed with clear gloss, it is protected in a cream-colored 8" x 10" mat, ready for framing. Click here for more of my art for sale in my Etsy Shop. Paintings for sale in my EBay store can be seen by clicking here.